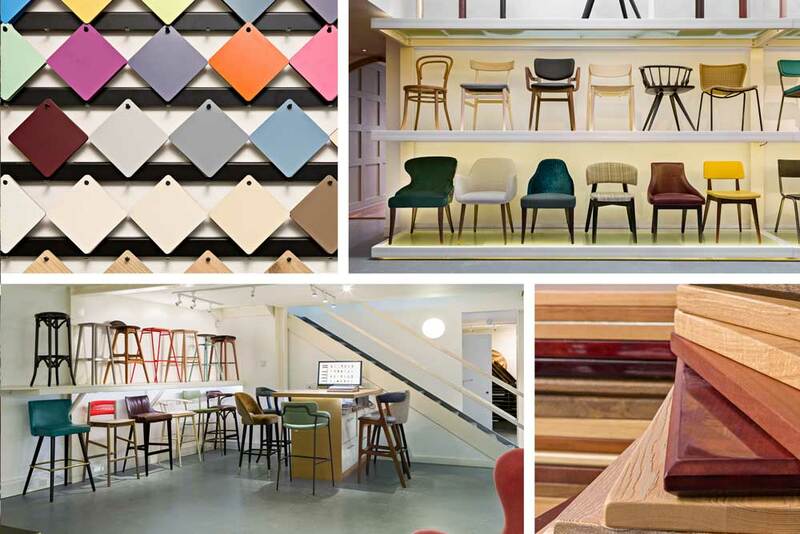 Visit our 5,000 sq ft working furniture showroom in Hammersmith, London. 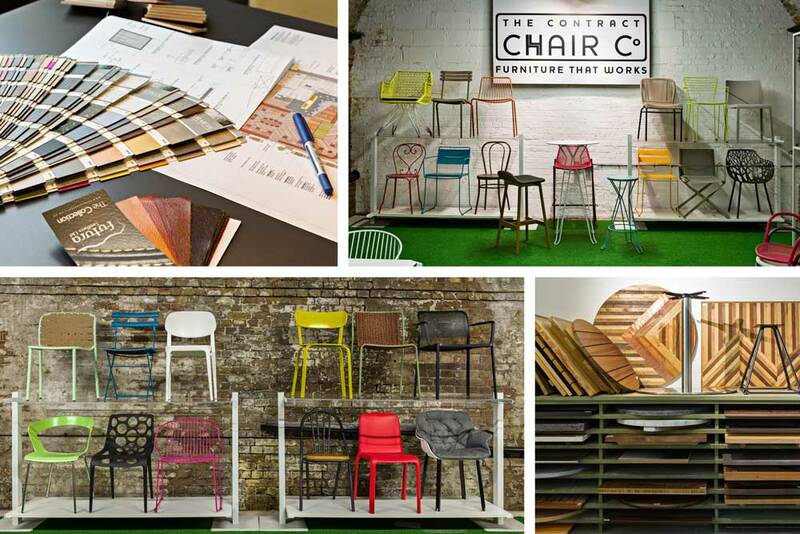 Let us talk you through our extensive sample ranges of chairs, tables and fabrics. We also have swatches of wood and other table top materials as well as samples of bespoke furniture. We believe strongly that customers who visit our London furniture showroom make better, quicker, decisions about the right furniture to purchase. Call us to answer any questions you may have or to arrange a furniture showroom walk-through with a sales manager. Alternatively you can contact us here. We are a very short walk from Ravenscourt Park Tube Station (District Line) and we also have free on-site parking.